Antonelli Landscape is Southeast Michigan's premier landscape design & construction firm. Our specialties include custom swimming pools & spas, brick patios, front landscapes, brick driveways, outdoor kitchens, gazebos & pergolas, firepits & fireplaces, cultured stone masonry, and many more landscaping features. We have been providing exceptional residential design and installation services throughout Metro Detroit since 1995. Our award-winning company is committed to providing excellence in workmanship and project management. Our goal is to create unique, vibrant landscapes to enhance the quality of our clients' properties and lifestyles. Oakland County's Custom Outdoor Design Firm I Best of Houzz 2013-2017! Custom landscape design/build with the highest level of creativity and expertise. Providing a collaborative experience and guidance throughout the design/build process. Serving the community for over 36 years. Offices in Birmingham, Oak Park, and Traverse City, Michigan. At Zaremba, we are commissioned to produce extraordinary landscape and garden environments. Through a highly-personalized design and build process, we collaborate with clients, architects, and design professionals to transform properties into living works of art. Driven by design, our portfolio continues to evolve as we bring to life a diverse range of projects. We are passionately committed to the creation of exceptional works in landscape architecture and garden design. We pride ourselves in developing relationships with clients that thrive long after a design is realized. For over two decades, we have nurtured countless projects from initial sketches to mature gardens with characters all their own. Our team goes above and beyond to customize our work to our clients’ needs. Our designs and designers have been featured in local, national, and international publications and recognized by Detroit Home magazine in their annual Design Awards. 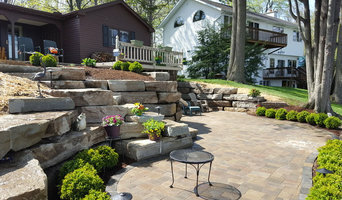 Today, Troy Clogg Landscape Associates, LLC is one of the largest and most successful firms in Michigan, providing landscape design and construction, complete commercial maintenance with fertilization, irrigation design and service, and snow removal to a full range of commercial and residential clients. Our team is 200+ strong at certain times of the year and we would be nowhere without them. We are known for our award-winning designs, dependability, and quality service, as well as, our heartfelt passion for our profession. With state-of-the-art equipment, cutting-edge products, and a dedicated team of professionals, TCLA has the capability to meet your every landscape need. Combining functionality and creativity – we contrast colors, sizes and shapes to create breathtaking views of your landscape which evolve with the seasons. From your ideas to completion – Your new outdoor living space is sure to be the new area for entertaining and relaxing. Our attention to detail will insure that clients and tenants alike enjoy a nice outdoor workplace. Our residential clients have the freedom to use their time for other activities or simply relax in their own backyard. For over 30 years, Cynthia Fink (owner of DC Design LLC) has been a practicing, registered landscape architect, licensed in the state of Michigan, and serving clients throughout Southeast Michigan. Specializing in residential design, Cynthia enjoys taking the time to listen to clients’ goals and working with homeowners to uncover each site’s unique potential. Every project, no matter the size, deserves the attention of a well-studied, intentional landscape design. Throughout her years of experience, Cynthia has designed and reimagined every kind of site, from small urban gardens to suburban landscapes to large, sprawling estates. Her mastery of creative problem solving results in gardens that are seamless in both beauty and function. Cynthia participates in all aspects of the design process, including field measurements and analysis, design, and drafting. As an independent designer, she is able to assist clients to obtain contractor bids and is happy to make personal recommendations. Cynthia is also experienced in project management and will provide this upon request. Premier Landscaping Inc. was founded in 1999 by Chad Horlings. Since then, we've become the leader in landscape design, installation, and maintenance in the Plymouth area. Our dedicated team and creative designs allow us to create stunning landscapes for our clients as well as maintain our reputation in customer satisfaction. At Premier Landscaping Inc., we only hire hard working people of integrity. Some of our employees have been with us since day one. We won't trust someone on a job who we wouldn't trust in our own homes. We value and appreciate the hard work that our team does, day in and day out. From day one we've operated with integrity, creativity, and strong work ethic. In conjunction with these core values, we always keep a Landscape Architect on staff to build our knowledge and take innovation to the next level. Mosher & Associates specializes in designing and building fine outdoor spaces throughout the United States. We also provide estate landscape maintenance in the metro Detroit area. Three C's Landscaping has earned a reputation for designing, building, and maintaining Metro Detroit's most elegant landscapes with over 40 years of experience. Our unique combination of boundless creativity, precision engineering, and time-tested construction techniques will transform your dream landscapes into reality. Paesaggio has brilliant landscape designers on staff to help you create the best landscape for your property. Our designs are as practical as they are unique and our design team is committed to delivering exceptional quality and service. 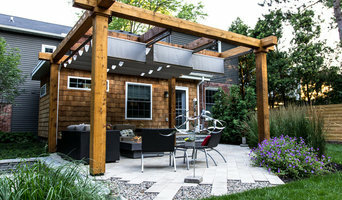 Xtier Inc. Design & Build Landscape was established by landscaping professionals Kevin Webster, Troy Bradberry and John Hodgkin, who possess over 60 years combined experience. The group met while working at local landscape companies. They recognized in each other a level of professionalism and passion that signaled they would work well together. The specialists at Xtier are proficient not only in hardscaping, but in all aspects of horticulture and landscape design such as irrigation, lighting, water features, green design and more. Professionalism lies at the center of Xtier’s business ethos. Clients will experience this from their initial consultation to their final design and through all aspects of the installation process. Such professional integrity ensures consideration of the customer’s time and minimizes disruption to their lives. Because each of the owners has a real, personal stake in the company’s success, customer satisfaction and quality work are not just strived for, but are delivered by Xtier on every project. No matter how big and complicated or small and simple the job, the benefits of dealing with a company owned and run by the people actually working with clients cannot be overstated. Instead of fighting though layers of bureaucracy to solve problems or make changes, the person on site has the authority to deal with any situation. Because each man has a real, personal stake in the company’s success – not to mention a hard-earned reputation to uphold -- customer satisfaction and quality work are not just strived for, but are delivered by Xtier on every project. Teresa Whitaker is a landscape design professional, who specializes in landscape design, planning & management services for homeowners, builders, architects & landscape installers. Her career began as licensed builder over 25 years ago and is currently serving Michigan's Oakland County Greater Area. Her portfolio of work includes projects in Michigan, California and Costa Rica. She strives to create beautiful, well-reasoned, and masterfully planned landscapes, from large scale to small residential projects and some commercial work. Her design philosophy embraces the principles of simplicity through the use of mass plantings and clean lines, while enhancing architectural forms. She founded Creative Landscapes in 1988. The company’s work shows superb craftsmanship in masonry, carpentry, pool building, contouring, and garden creations. 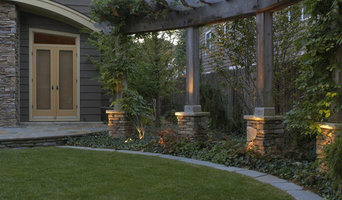 We are a multi-award-winning landscape design and build firm located in Metro Detroit. Our team is passionate about helping you shape the perfect outdoor oasis to fit your style and needs. We're professionals in designing and creating landscaping and outdoor spaces that will enhance your home's curb-appeal, and fulfill your outdoor living desires. From simple projects to the largest, we're a full-service company. We view clients as family, and we care about your yard like it's our own. That means every shrub we plant, every paver we set, every piece of furniture we place on your patio, and every blade of grass we mow - every action meets the highest quality standards. Landskapsarkitekter i Detroit jobbar ofta med offentliga miljöer, som till exempel stadsmiljöer, parker och vägprojekt. Utbildningen för en landskapsarkitekt är på 5 år och ger en magisterexamen. I Sverige finns det två skolor som erbjuder den här typen av utbildning, Alnarp i Skåne eller Ultuna utanför Uppsala. Under och efter utbildningen sätter du ihop en portfolio som visar vad du kan som landskapsarkitekt. Med det sagt, så kan såklart en landskapsarkitekt även assistera i privata hem, och inte bara i offentliga miljöer. Nja, inte riktigt, även om många tycks tro det. Det är lite rörigt, för förut kallades landskapsarkitektur för trädgårdsarkitektur. Dock har titeln trädgårdsarkitekt kommit tillbaka med en lite ny innebörd. Trädgårdsarkitekter är mest inriktade på villaträdgårdar och deras design. De fungerar i vissa fall som trädgårdsplanerare som tittar på befintliga trädgårdsritningar och gör. Ibland får du designa en trädgård och ta fram en helt ny trädgårdsritning. Många trädgårdsarkitekter i Detroit jobbar med trädgårdsdesign som egenföretagare. Vi hoppas att det går bra med att planera trädgården, oavsett om det är en stor botanisk trädgård eller en i förhållandevis spartansk villaträdgård. Förhoppningsvis så hittar du även just den trädgårds- eller landskapsarkitekt i Detroit, MI som sökes. Lycka till!